Visionland sounds as if the [Banditos] were channeling Ty Segall and the Black Rebel Motorcycle Club. Songs taking shape from raw hill-country blues, scrappy bluegrass and Muscle Shoals R&B are delivered with raucous bar-band intensity; frenetic guitar outbursts knock into jangly banjo rolls and stomping traditional rhythms. During a time in history where nothing feels certain, it only seems appropriate that there are bands like Banditos to circumvent expectations. From the sound of it, Visionland sounds like a place worth visiting. Head over and stay for a while. The band interweaves rock, Americana, and shades of punk with banjo, successfully delivering a unique aural experience. When it ends, you’ll be sold. The Banditos rock to their own inner rhythms, picking influences and sounds from across both time and genres. Get on board. Some bands play music like their hair is on fire. 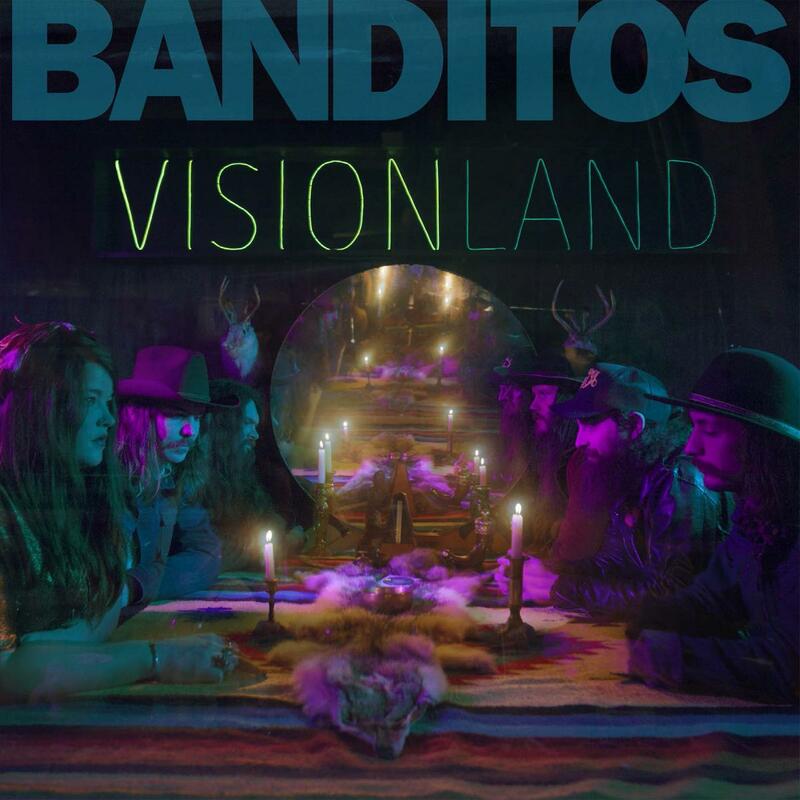 It's fair to say that Banditos is one of those bands, and the new album Visionland is all the proof you'll need. It indicates a leap forward in the Banditos’ artistic evolution and the potential to expand their sound even further in the future. The Birmingham/Nashville group play the kind of slow, stately country-soul that, to an outsider, seems like it must seep out of the red clay of lower Appalachia. It feels elemental, pained, and real—authentic, to use yet another charged word. Their sound is the soft burn of traditionalism smoldering in ennui. Blends classic Southern genres like country, soul, blues, and rock ‘n’ roll while adding in a bit of garage rock stomp and punk energy. [On] this latest album, the group stretches their wings as they explore the nature of reality versus altered states, so naturally, psychedelic rock is making its way into the Banditos’ sound. Explores a diverse range of genres, from the trippy psych-rock to the old-school twang. It's a roller coaster, alright, but one running off the rails. Banditos hop on for the ride, with a few psychedelics in their back pockets to help ensure a more vibrant trip.